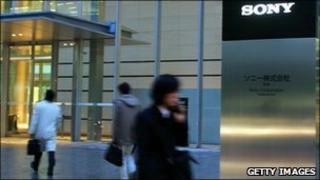 The Japanese electronics giant Sony has reported fresh hacking attacks on a number of its websites. The company said that personal data of 2,000 consumers was stolen from a Sony Ericsson website in Canada, while details of 8,500 users were leaked on Sony Music Entertainment website in Greece. The company said e-mails, passwords and phone numbers of users were stolen. Sony said that no credit card details had been lost. The company said in a statement that both the websites were externally hosted by third parties and were not connected to its main network. Last month, account information of more than 100 million customers was compromised in cyber attacks on Sony's networks. The company's spokesman George Boyd told the BBC that the company's Music Entertainment website in Indonesia and Sony's Thailand website were also hacked, though no data was stolen. Sony said all four websites had been temporarily shut down.